You may not know this, but Darth Vader has some moves. 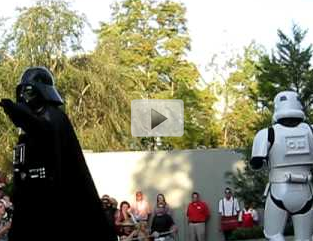 During a Star Wars Weekend by Disney, Vader breaks it down to MC Hammer's "You Cant Touch This." He has style, rhythm and technique and really knows how to dance. Even the Stormtroopers have some awesome moves that would be tough competition in any dance-off. Take a minute and see for yourself just how these guys can dance.